2017 is hardly halfway over and it’s already been an extremely busy year for games, particularly with the recent E3 only adding more to the list of hot titles coming out this year. While some critics have pointed out that most of the games shown off at the event will only launch in 2018, this year’s release schedule for games is already so heavily laden that no one would have all the time needed to play them all. 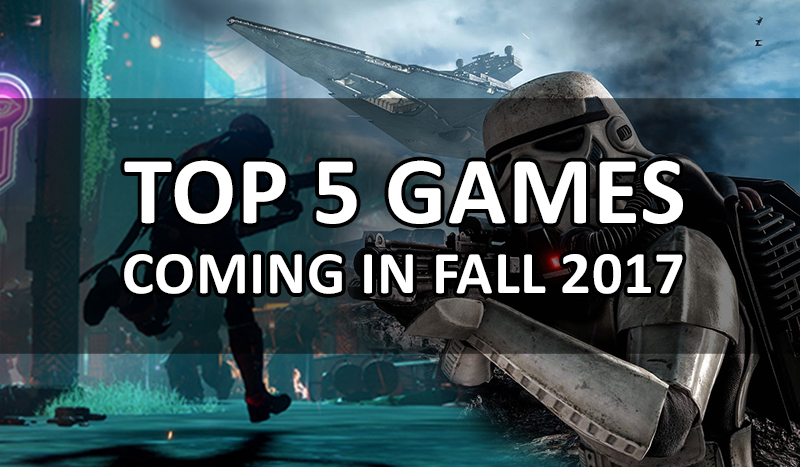 Here are the top five new and upcoming games of 2017 that you can look forward to this fall. What's Awesome: Coming soon on September 6, 2017, the sequel to game developer Bungie’s first post-Halo title Destiny, Destiny 2 is the developer's chance to redeem itself after many blunders earned the previous installment a spotty reputation. 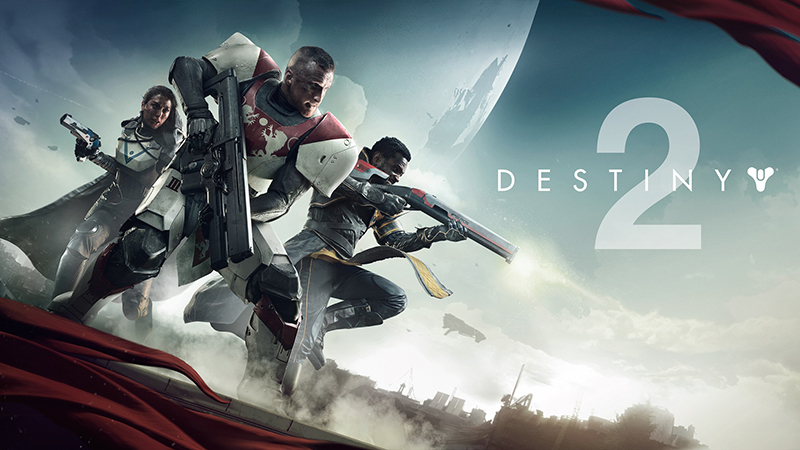 One of the biggest differences between Destiny 1 and Destiny 2 is that the sequel will be coming to PC as well as consoles in an odd partnership with Blizzard. This will be the only game that isn’t published by Blizzard to use the Blizzard Launcher on the PC. Destiny 2 takes the already bleak setting of Destiny and makes it bleaker. In the sequel, the only safe location for humanity in the entire solar system, The Last City, falls to a surprise invasion by a new enemy. The Guardians, characters from the first game, make their return as the playable characters. Additionally, this time around Bungie has promised to address the biggest criticisms of the game for the sequel. There will actually be a story in the game, instead of solely appearing on a companion website; loot distribution will be less randomized and frustrating; and there will be an in-game map. Fast travel options will be added, removing one of the annoyances or the original game. Hopefully with all of the additions and fixes to the sequel, Destiny 2 will be what Destiny always should have been - the worthy sequel to the renowned Halo series. What's Awesome: The original game released in 2014, Middle Earth: Shadow of Mordor, had massive potential but had mixed reception. The innovative nemesis system was universally praised as well as the gameplay in general; however, some felt that the story and main character fell flat, and the open world was rather empty. With a release date of October 10, 2017, Middle Earth: Shadow of War is Monolith Productions’ attempt to expand on what worked with the original Middle Earth game, and fix what didn’t. Mordor is expanded with new regions and activities, and the nemesis system is extended and improved allowing you greater control over your orc minions. You will also be able to manipulate the social mechanics of Mordor’s population with additional micromanaging. The E3 gameplay presentation showed off a siege where protagonist Talion leads an army of orcs against a fortress. 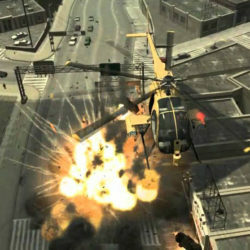 It showed off how much the team has managed to refine the gameplay of the original. If Shadow of Mordor was a flawed gem, Shadow of War will be the figurative Koh-i-Noor. What's Awesome: After a much-needed two-year hiatus, Assassin’s Creed is back; Assassin’s Creed: Origins has a confirmed launch date of October 27, 2017. For the first time in many installments, the latest Assassin’s Creed setting appears to be refreshing and innovative. Instead of forging forward in history from the original (the last installment, Assassin’s Creed: Syndicate, took place during the British Industrial Revolution) Origins throws the franchise in reverse and goes back in time even further than the first game. 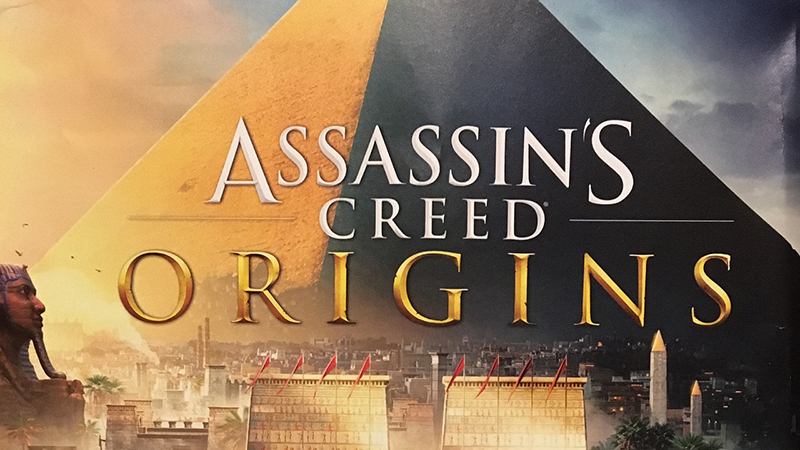 Assassin’s Creed: Origins will take us to ancient Egypt where players will witness the string of events which will lead to the foundation of the Assassin Brotherhood, and will likely shed more light on the mysterious First Civilization. The main character, Bayek, is joined by his pet eagle, Senu, whom players can take control of in order to scout ahead and mark enemies. The classic Assassin arsenal of hidden blades is expanded with weapons both new and familiar, including a bow and a sword-shield combo, for some exciting new gameplay unique to the franchise. This longer break between games is most apparent in many of the fundamental changes in gameplay. Assassin’s Creed: Origins still plays and feels like a true Assassin’s Creed game; but this time the mini-map has been removed in favor of a compass-like navigational tool, and a RPG elements like lootable gear and a leveling system with a skill tree have been added, which may provide more of a Skyrim-like experience. What's Awesome: Of the countless Star Wars games that have been released, from original PC games to Nintendo and Playstation, the two Battlefront games of 2004 and 2005 are among the most fondly remembered. In 2015 shortly after the release of the new PlayStation 4, EA sought to achieve the same level of popularity as those legendary titles. However, a lack of content, no story mode, fundamentally different mechanics and a DLC model that some fans thought overpriced, resulted in a disappointment for some fans, although it was truly an innovative game. Some fans of previous releases had expected more of a continuation of the older games, but Star Wars Battlefront developers had other ideas in mind. 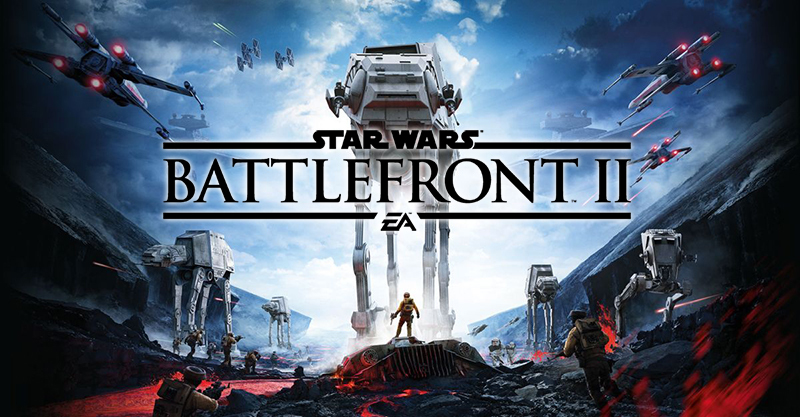 Star Wars: Battlefront 2, which will be released on November 17 2017 on PS4, Xbox One and PC, continues the trend of 2017 sequels where the second game attempts to solve some of the problems inherent in the first installment. Battlefront 2 will feature a full single-player campaign mode with its own canon storyline, a greater amount of maps and game-modes, all three eras of Star Wars cinematic lore, and a class system reminiscent of the old games, which is likely to really please fans of the retro Star Wars games. The storyline of Battlefront 2 takes pointers from one of the best regarded Star Wars games, TIE Fighter, by putting you on the Imperial side of the story. The story will take place right after the end of Star Wars Episode 6, following an elite Imperial fighter pilot through events that bridge the gap between the Battle of Endor and the start of the Aftermath book trilogy. Hopefully this new Star Wars sequel, Battlefront 2, will successfully fill a void in the lineup of EA Games. What's Awesome: Amid all the new releases, sometimes it’s good to return to something familiar – but even then new content is welcome. Grand Theft Auto Online's latest and highly anticipated DLC, Gunrunning, was released on June 13th, 2017; and with GTA's Shark Cash Cards on the PC version making an insane amount of money for Rockstar’s parent company Take-Two Interactive, it is sufficient to say that we can expect much more from GTA before year’s end. Grand Theft Auto Online has remained a highly relevant element of the gaming scene as constant major DLCs are released freshening up the game. 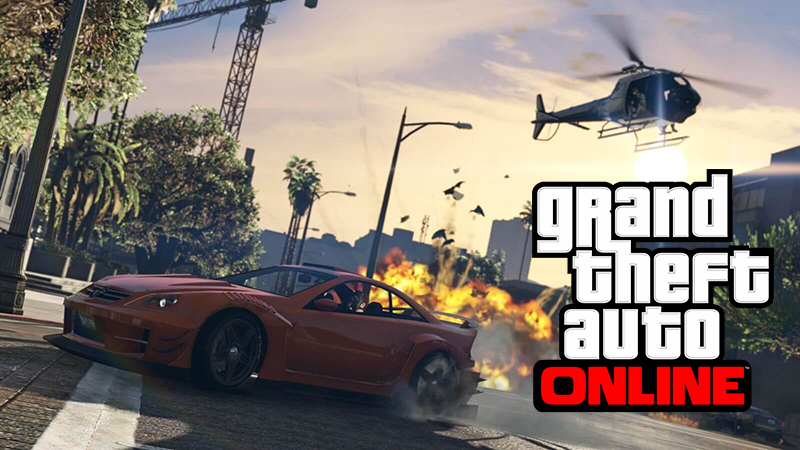 The massive number of fans who play GTA Online look forward to these updates with the same amount of anticipation as they do for a new game, and Rockstar has already teased that big things will be happening in the virtual world of Los Santos in late 2017. Overall, the new releases of games this year have been very strong, which is exceptionally welcome considering that 2017 has been a dismal year in television with a weak lineup of new shows. With these new games many people will be able to keep themselves occupied even when there is nothing interesting on TV. Which are your favorite games of 2017? Which games are you most looking forward to?